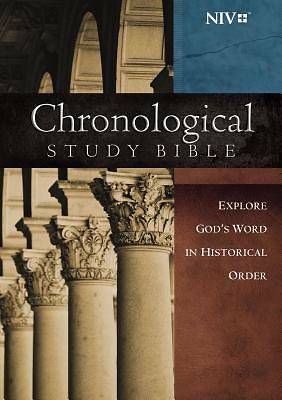 The Chronological Study Bible presents the text of the New International Version in chronological order - the order in which the events actually happened - with notes, articles, and full-color graphics that connect the reader to the history and culture of Bible times and gives the reader a dramatic, "you are there" experience. Features include full-color illustrations of places, artifacts, and cultural phenomena, contextual articles that connect Biblical times and world history and culture, daily life notes, time panels and charts that show the flow of Biblical history, and in-text and full-color maps. Thomas Nelson Bibles is a proud supporter of World Vision in eradicating poverty and preventable deaths among children. Learn more and discover what you can do at www.seegodswordinaction.com.